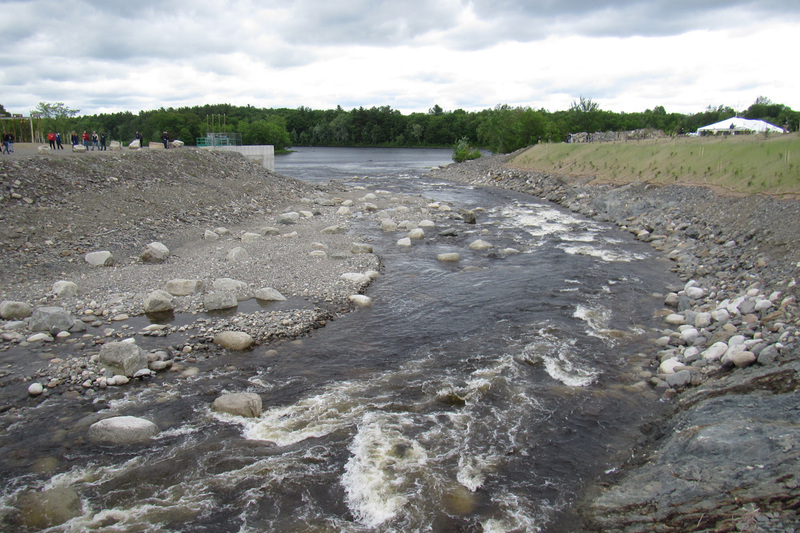 As the last of the four projects along Maine’s Penobscot River, this 100 to 200 foot-wide bypass channel around the Howland Dam Bypass Channel was constructed in 2015, improving access to nearly 1,000 miles of historic habitat for 11 species of native sea-run fish while maintaining or increasing energy generation on Maine’s Penobscot River system. The design provides a high level of service, stability and function over flows from 250 cfs to nearly 12,000 cfs, considered landscape design and public access, and used renderings to depict the proposed condition for project stakeholders. 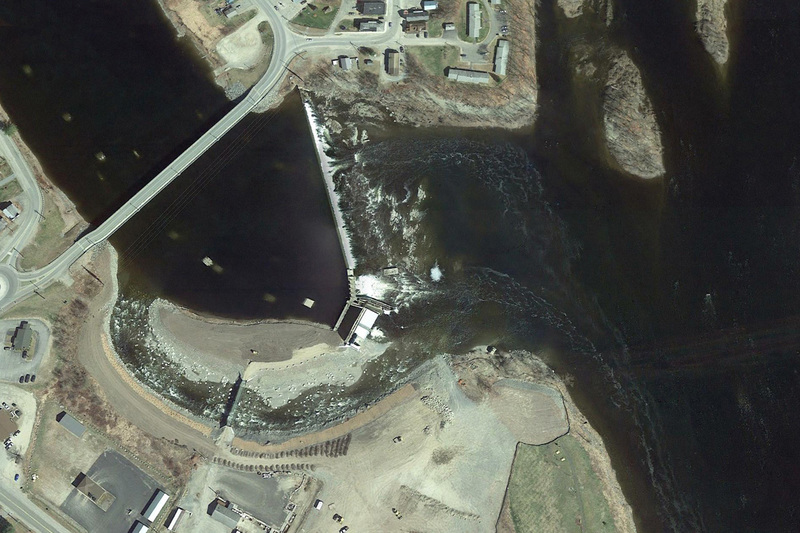 Kleinschmidt and Inter-Fluve collaborated with the Penobscot Trust on the design of this project. 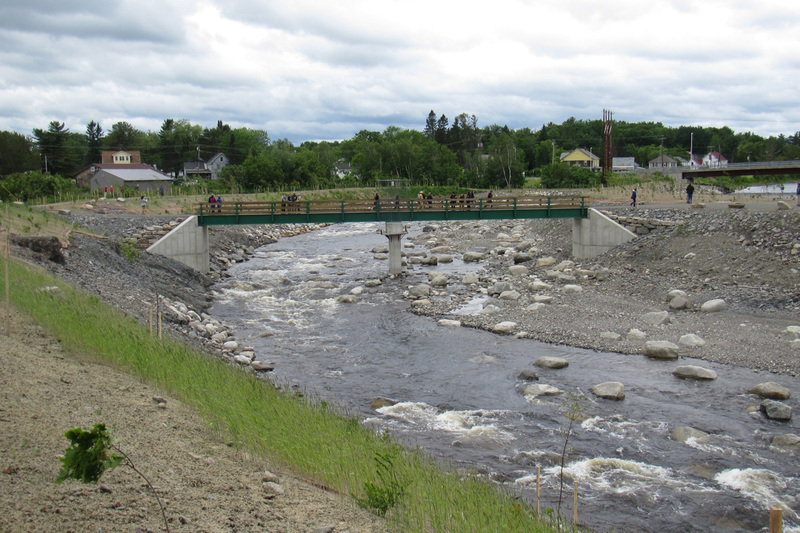 The project won the 2017 ACEC Maine Honor Award for Water Resources. 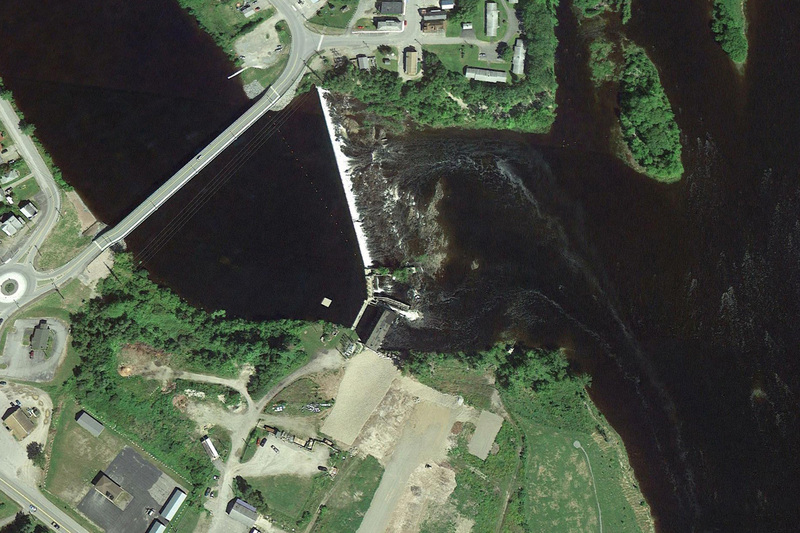 Howland Dam is a run-of-the-river dam on the Piscataquis River, a major tributary which joins the Penobscot in Howland. The channel is 1050 feet long and about 200 feet wide. The width at the bottom of the channel is 105 feet. The channel was designed to function over a broad range of flows ranging from 250 cfs to nearly 12,000 cfs. 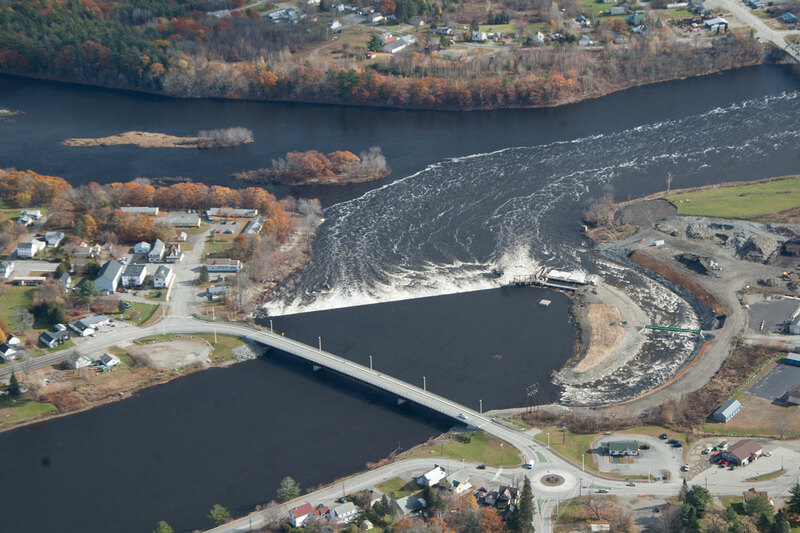 Kleinschmidt and Inter-Fluve collaborated with the Penobscot Trust on the design of this project. 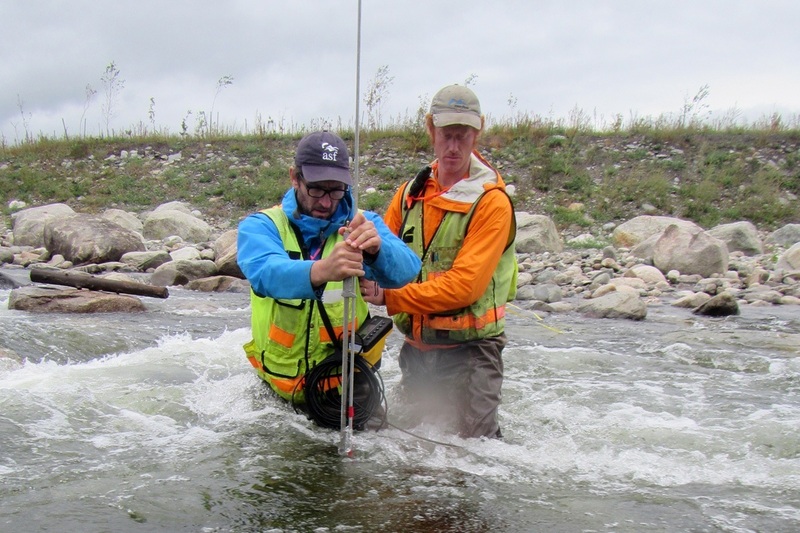 Mike Burke (left) and Nick Nelson (right) recording stream flows.